Is it time to Buy a Business? It’s the season when we want to make changes in our lives. New Year has gone, and we’re back to the boring paper pushing for ungrateful managers. It’s been driving you mad for ages, but now you’re at the beginning of another year and you’re not getting any younger. Where did it all go wrong? Sometimes you just want to throw in the towel, tell the boss what you really think and work for yourself. You’ve always dreamed of your own business, but it’s such a hassle. All that setting up, market research and building a client base. Yet the mortgage won’t pay for itself, so you can’t take the risk. You can have it all. No really you can! Have you never thought about stepping into a successful ready-made business? 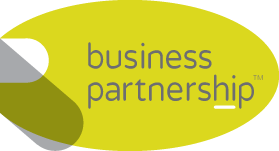 At Business Partnership we specialise in matching up established businesses that are being sold, with talented and enthusiastic buyers. People like you. That’s right. Cut out all that worry and stress. Some people thrive on it; others don’t. In fact, some people love it so much that they set up a business, get it running effectively, and then want to do something different. That’s when they decide to sell it. Alternatively, they may have been running it for ages, and simply want to retire. Or something else, like a change in family circumstances. There are many reasons why good, established businesses are put up for sale. That’s why we’re here. If you want to do it, do it now. Think of the feeling as you leave the office for the last time, knowing that from Monday you’ll be your own boss. Wonderful isn’t it? Tempted to buy a business? Visit our website and find out what you could be doing this time next year.